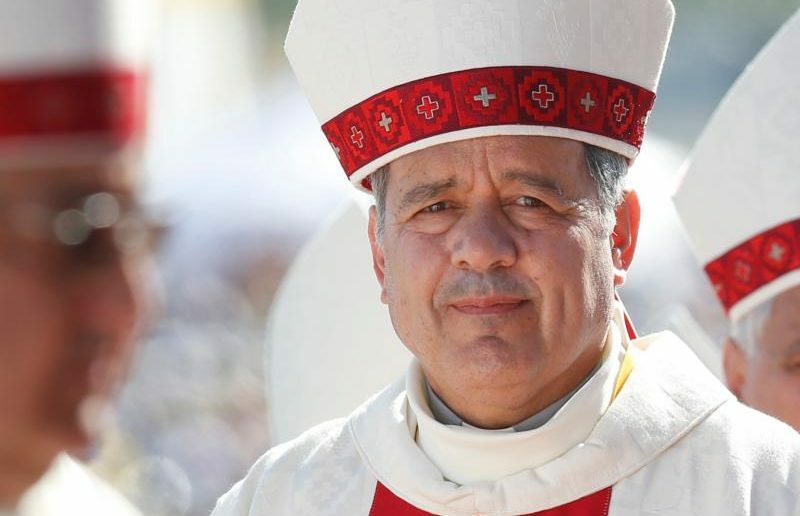 VATICAN CITY (CNS) — After an in-depth Vatican-led investigation into clerical sexual abuse and cover-ups, Pope Francis accepted the resignation of 61-year-old Bishop Juan Barros of Osorno, Chile, and two other Chilean bishops June 11. The two other bishops, who had reached the customary retirement age of 75, were Archbishop Cristian Caro Cordero of Puerto Montt and Bishop Gonzalo Duarte Garcia de Cortazar of Valparaiso. The announcement came as Pope Francis was sending his Vatican team back to Chile to promote healing from the abuse crisis. Archbishop Charles Scicluna of Malta and Father Jordi Bertomeu Farnos were set to visit the Diocese of Osorno “with the aim of advancing the process of reparation and healing of abuse victims,” the Vatican said in a statement May 31. Abuse survivors have alleged that when Bishop Barros was still a priest he witnessed their abuse by his mentor, Father Fernando Karadima. In 2011, Father Karadima was sentenced to a life of prayer and penance by the Vatican after he was found guilty of sexually abusing boys. Archbishop Scicluna, who is president of a board of review handling abuse cases within the Congregation for the Doctrine of the Faith, and Father Bertomeu, an official of the doctrinal congregation, were scheduled to be in Santiago June 12-13 before going to Osorno June 14-17. The resignation of Bishop Barros comes after years of accusations and questions concerning his knowledge of abuse by his mentor and protests when Pope Francis appointed the then-head of the military ordinariate to head the Diocese of Osorno in 2015. A short time later, the Vatican announced Pope Francis was sending Archbishop Scicluna and Father Bertomeu to Chile to listen to people with information about Bishop Barros. After receiving their 2,300-page report detailing the extent of clergy sexual abuse in Chile, the pope apologized.